Sentence Correction (SC) questions test your knowledge of English grammar, style, and expression. You are given a sentence, part or all of which is underlined. This is followed by five answer choices. Your objective is to choose the answer that fits best (not necessarily perfectly) within the original sentence. Answer A is always exactly the same as the underlined portion of the original sentence; pick A if you believe that the original sentence is fully correct as written. The other four answers are variations of the underlined portion. English grammar is a broad subject, but fortunately the GMAT tends to focus on some specific types of grammar issues. Below we introduce the most commonly-tested grammar issues. Other grammatical and stylistic issues tested on the GMAT include active vs. passive voice, adjectives vs. adverbs, gerunds, possessives, redundancy, and subjunctive mood. Verb agreement and tense. A verb should agree in plurality with its corresponding noun, and should take the appropriate tense for the sentence. With tense, we must consider time period (past, present, or future) and aspect (simple, progressive, or perfect). Pronoun ambiguity and agreement. 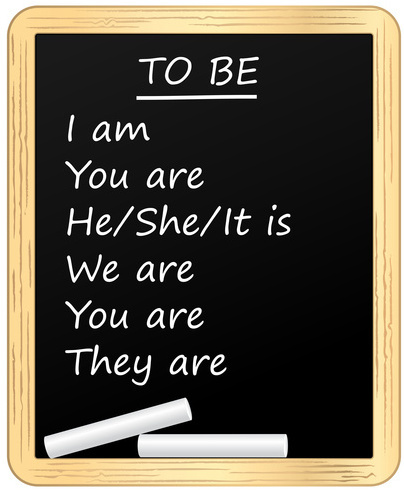 A pronoun should unambiguously refer to the appropriate noun, and should agree in plurality with that noun. Parallel construction. Parts of a sentence that serve the same purpose within the sentence should be structured similarly. This often arises with lists and comparisons. Misplaced modifiers. A modifier provides additional detail within a sentence, and can range in length from one word to a lengthy clause. A modifier should unambiguously refer to the appropriate noun or action. Idioms. Certain words and phrases require a specific usage or construction in order to be correct. These are unique rules that apply to the given word or phrase. To ensure that international students are not at a disadvantage, the GMAC has eliminated “American-centric” idioms (as it classifies them) from the GMAT. Comparison and quantity words. There are specific rules associated with words and phrases used for comparisons and for describing quantities. Although we can consider these special types of idioms, they deserve special mention because of the frequency with which they appear on SC questions. Although grammar is critical, it is not the only aspect of Sentence Correction. Expression and meaning are also essential elements of SC questions. Expression refers to how a sentence is written. All else equal, a sentence should be clear (not ambiguous) and concise (not unnecessarily wordy). Meaning refers to the intended meaning of a sentence. When read literally, a sentence should make logical sense, not imply something illogical. Also, the sentence’s focus should be on the primary idea that the author wishes to convey. Finally, our preference should be to keep the original meaning of a sentence, unless we need to fix a logical issue or change the focus to the primary idea. As the GMAC has tried to prevent students from doing well by simply memorizing certain grammar rules, meaning has become increasingly important on SC questions. In approaching SC questions, process of elimination is very important. We should first read the original sentence carefully and try to identify any grammatical or other errors. If we find an error, we can immediately eliminate answer A (always a repeat of the original underlined portion). Furthermore, we can skim the other four answers and eliminate those that retain the original error. Of course we will not always find an error, either because we just missed the error or because there is no error (i.e. answer A is correct). After this, we want to scan the answers for “splits”, or differences in construction. For example, perhaps two answers use a certain word and the three other answers use an alternate word choice. Not every SC question will have splits, but most of them do, particularly at the beginning and at the ending of the answer choices. Upon observing a split, we can try to make a decision as to which is the correct form and which are incorrect. Based on this, we can further eliminate some answer choices. Only after exhausting splits should we analyze each of the remaining answers one at a time, because doing so is more time consuming. Let’s try a sample problem. Attempt the problem on your own before viewing the answer and explanation. A human sperm cell will transform into a baby boy or a baby girl after it fertilizes a human egg cell, depending on its XY chromosome. (A) A human sperm cell will transform into a baby boy or a baby girl after it fertilizes a human egg cell, depending on its XY chromosome. (B) After it fertilizes a human egg cell, depending on its XY chromosome, a human sperm cell will transform into a baby boy or a baby girl. (C) After it fertilizes a human egg cell, a human sperm cell’s XY chromosome will determine if it transforms into a baby boy or a baby girl. (D) Its XY chromosome determines whether a human sperm cell, after it fertilizes a human egg cell, will transform into a baby boy or a baby girl. (E) The XY chromosome of a human sperm cell, after it fertilizes a human egg cell, will determine whether it transforms into a baby boy or a baby girl. In this question, the entire sentence is underlined. When this is the case, the problem is typically more challenging, if nothing else because of the length of the answers. As we will discover, this SC question entails many issues: meaning, misplaced modifiers, verb tense, pronoun ambiguity, and idioms. The first step is to read the original sentence to check whether we can identify any errors. We could potentially claim that “it” is an ambiguous pronoun, but that isn’t a strong argument because we would not refer to “a baby girl” (the immediately-prior singular noun) with the pronoun “it.” A more subtle error is the ambiguity associated with the ending modifier, “depending on its XY chromosome.” In fact, this is a misplaced modifier. The noun before the modifier is “a human egg cell.” So the modifier incorrectly refers to the egg cell’s XY chromosome, not to the sperm cell’s XY chromosome. Answer B has a similar problem, because the modifier could refer to either the egg cell or the sperm cell. We may or may not have caught this subtle error, so let’s examine answer choice splits. To make the discussion easier, we have color coded the words relevant to a given split. The difference between answers A/B (depending) versus answers C/D/E (will determine / determines) is one of meaning. The primary subject / verb combination of answers A/B is “a human sperm cell will transform.” The primary idea conveyed is that a sperm cell will transform into a baby boy or girl, something that is common knowledge. The XY chromosome is secondary, since it is buried within the “depending” modifier. The primary subject / verb combination of answers C/D/E is “the XY chromosome will determine / determines.” The primary idea conveyed is that the XY chromosome is the determining factor of a baby’s gender. This is not common knowledge, and therefore should be the intended meaning of the sentence. We can therefore eliminate answers A and B. Answers C/D/E have three verbs each, two in the present tense and one in the future tense. “Fertilizes” is present tense in all three answers, and this is appropriate because we use the simple present verb tense to refer to something that happens in general (as opposed to an event at a specific point in time). We need to decide which of the other two actions (verbs) happens in general and which occurs in the future. In general, the XY chromosome determines the gender. After the egg cell is fertilized and the gender is determined, the sperm cell will ultimately transform into a baby. Therefore, we should use present tense “determines” and future tense “will transform.” We can eliminate answers C and E.
Answers C/D/E have a split on the usage of “if” versus “whether.” This is a common idiom. We use “if” in an if-then context. For example: You will miss a classic if you don’t see the movie. We use “whether” in a whether-or-not context. For example: I will decide tomorrow whether to see the movie. In this sentence, we are not trying to convey that if the cell transforms into a baby boy or girl, then something else will happen. Instead, we are trying to convey that a chromosome determines whether the cell will transform into a boy or not (with “not” meaning that the cell will transform into a girl). So “whether” is correct, and we can eliminate C.
Every answer choice uses “it fertilizes.” The pronoun “it” must refer to the noun that fertilizes a human egg cell. A human sperm cell fertilizes the egg. The XY chromosome does not fertilize the egg, yet that is what answers C and E imply. These answers can be eliminated. Answer C has “a human sperm cell’s XY chromosome.” With the possessive, the item that is possessed is the actual noun, and the item that does the possession is essentially an adjective that describes the noun. For example, if we said “Fred’s pencil,” “pencil” is the noun and “Fred” is an adjective. A pronoun must refer to a noun, not an adjective. So in answer C, the pronoun “it” incorrectly refers to the XY chromosome. Let’s finish by summarizing the flaws described above. Because each of the incorrect answers has multiple flaws, you do not need to identify every flaw in order to pick the correct answer. (A) Misplaced modifier “depending on its XY chromosome.” Incorrect meaning – primary focus is on a sperm cell transforming into a baby. (B) Misplaced modifier “depending on its XY chromosome.” Incorrect meaning – primary focus is on a sperm cell transforming into a baby. (E) Incorrect verb tenses (should use present tense “determines” and future tense “will transform”). Pronoun “it” incorrectly refers to XY chromosome.